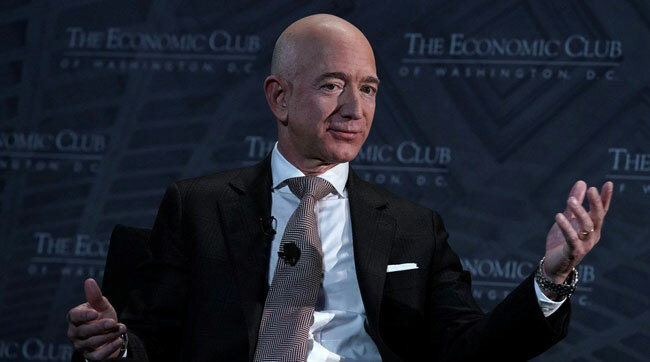 Jeff Bezos – founder of Amazon, the wealthiest person in modern history, world’s first centi-billionaire, founder of Blue Origin, owner of Washington Post. In short, 54-year-old Bezos has achieved everything a man dreams of. In just one lifetime, or shall we say just 24 years since he founded Amazon, Bezos went from a nerdy Princeton graduate to the zenith of the corporate galaxy. Bezos graduated from Princeton with Bachelor of Science degrees in electrical engineering and computer science with a 4.2 grade point average. But that skyrocketing rise probably would not have been possible had Bezos decided to pursue a career in pure sciences. So what made Bezos realise he was not exactly the guy who would spend nights working to solve an equation? The Amazon CEO himself gave the answer at The Economic Club of Washington. He said that all credit goes to his friend from Princeton, a Sri Lankan by the name of Yasantha, who he claimed was the smartest person in Princeton University at the time. You can watch this video where Bezos reveals how the epiphany that he would never make a good theoretical physicist dawned on him when Yasantha cracked a maths problem. It was then that the CEO of Amazon realized he cannot be a great theoretical physicist. He also expressed how some moments can change your life.